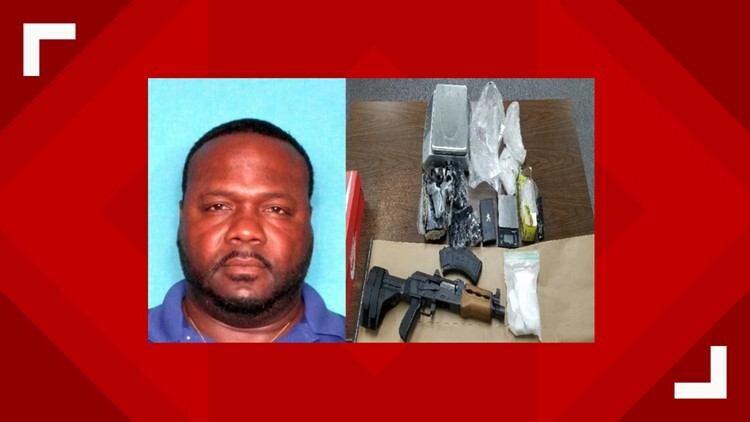 NEW ORLEANS — Police arrested a man last Saturday allegedly in possession of half a kilogram of cocaine, an assault rifle and scales. Officials said 49-year-old Troy Darensburg was arrested after a drug search warrant led officers to the gun and narcotics in a building in the 700 block of Leboeuf Street, Algiers. Police said the search was executed in connection to a drug law violation that occurred earlier last week. Darensburg was booked into the Orleans Parish Justice Center with illegal possession of crack cocaine and illegal possession of a firearm while in possession of controlled substances. Court records show the bond was set at $70,000. Records also show Darensburg was arrested on a possession of cocaine charge in 1992. In 1996, he was arrested on a charge of simple battery. Police said that anyone with any more information regarding this incident should notify Fourth District detectives at 504-658-6040.